A team of lifetime Butchers and Farmers (Darren, Tristan & Jordan) have come together to create Scotch & Fillet Free Range Butchers. Located throughout Melbourne to cater for both our walk in and home delivery customers all over Melbourne. With our Free Range and direct from the farmer philosophy, we service our local daily customers and weekly or monthly home delivery customers alike. From Pasture Fed Black Angus from Scott and Julie McKay of Habbies Howe in Euroa to Our APIQ Certified St Bernards Pork from the Northern Grampians you can be guaranteed your family is getting the very best Free Range Meat whilst supporting local farmers. We are traditional full carcass butchery who deal direct with local Free Range Farmers. Our team of expertly trained Butchers do more than just stand behind their meat counters; they stand behind their meat. They personally select Organic, Free Range & grass-fed beef, lamb, chicken and pork from selected free range and organic farms. 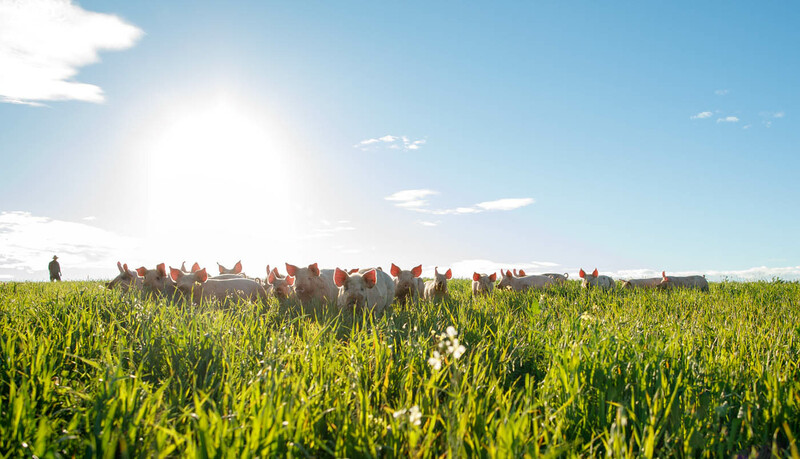 With our farming background we understand how to source the very best Free Range Product. We deal with family operators like Scott & Julie Mckay of Habbies Howe Angus in Euroa where they breed their pure bred angus in an ethical and sustainable manner free from Hormones. At Scotch & Fillet we love to get involved with the community, from holding sausage sizzles for Charities to supplying sausages and onions at discount rates for Bunnings sausage sizzles and community events. We pride ourselves on selling only the finest Grass Fed, Free Range and Organic Produce. All naturally grown and raised free from Hormones, Antibiotics and growth promoters. Full carcass & Nose to Tail – We are the foodies butcher, from offal to secondary cuts we stock it all.